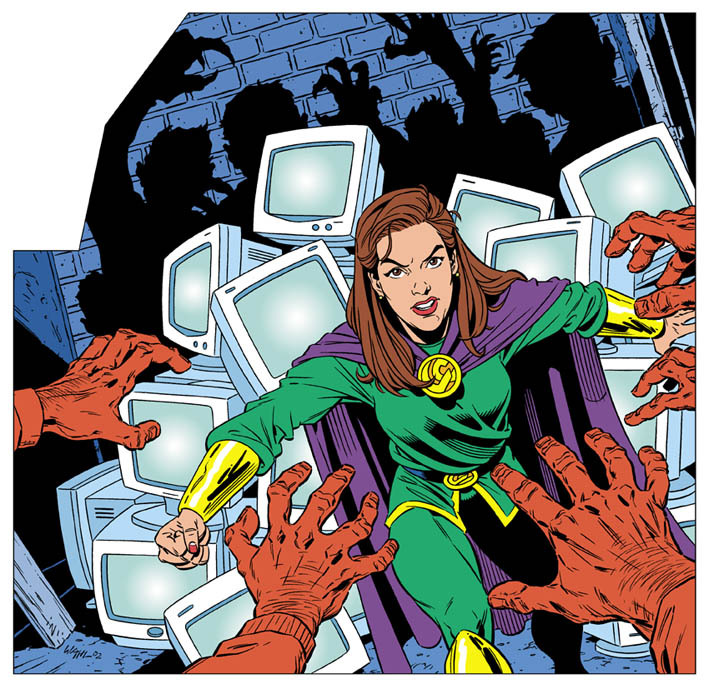 An editorial piece from a while back, about a woman who crusades against computer piracy and hackers. I had to illustrate her as some kind of superhero. The magazine article's layout was a bit weird, which explains the chunk missing from the top left, which accommodated part of the title. I still like the way the hands turned out in the foreground. Another nice piece. Thnaks for sharing. Looks very Mike Wieringo, really nice drawing none the less. If only I was half as good as Mike. This was done years before I even new of Mike's work though.